After years of searching for the perfect planner and NEVER finding THE ONE—there was always something missing. And more often than I care to admit abandoning planners mid-year because my goals had shifted too much. It dawned on me last year, that of course my favorite app for #allthethings, Trello was the planning solution I had been searching for. Have you ever bought a planner, and it’s just not quite right? Maybe some of the prompts don’t resonate with you, or you wish there were a section for XYZ. 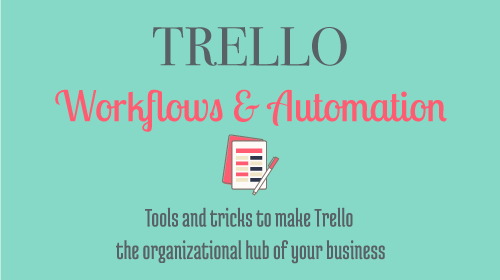 Well, the beauty of Trello is that you can add or delete WHATEVER you want, with just a few clicks. Trello allows me all the freedom and flexibility to build the planner of my dreams. No more loose notes or crossed out goals, no more paper planners that don’t fit my digital life. 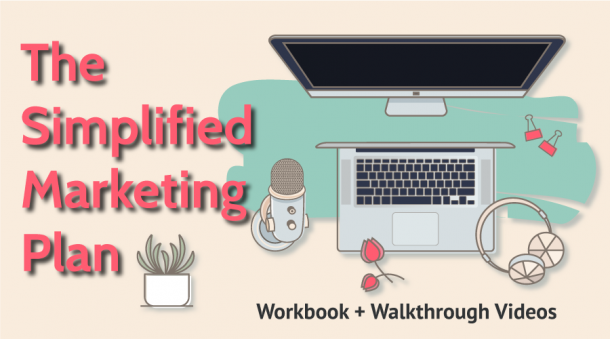 I took all the bits and pieces of my favorite planners, books, workshops and developed the ultimate Trello planning board, that helps to plan your year strategically for your business and life. 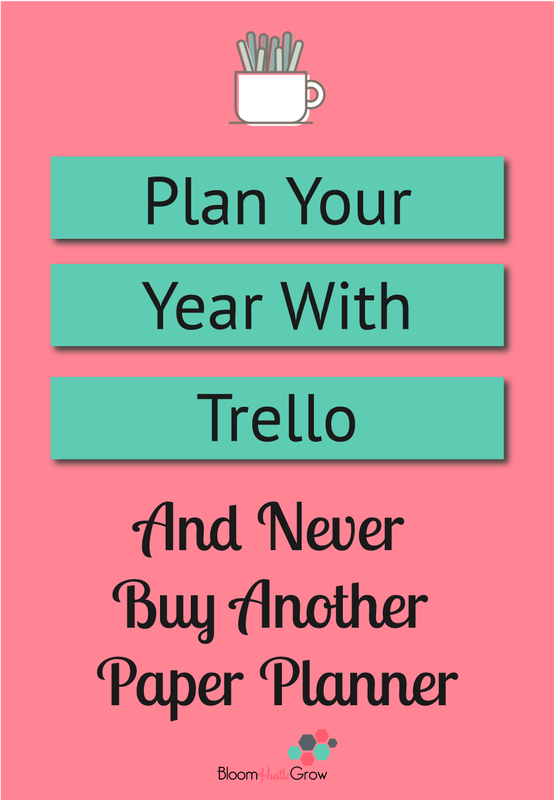 Never buy another paper planner again! 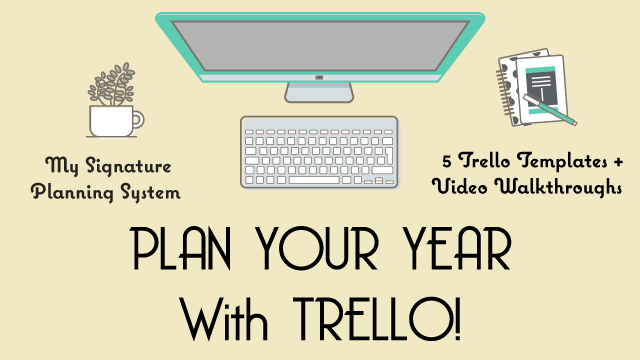 The central template to Plan Your Year With Trello is the Yearly Planning Board. This Trello template has cards and lists that include prompts to help you evaluate your business and life, and start 2019 with intention. One of the hardest things for me is to take a pause and reflect on what I truly want. I often tend to get lost in the day-to-day and forget to ask myself, “is this what I really want to be spending my time on?” and “am I spending time on the things that matter to my goals.” Having this board gives me one central space to reflect, dream, and recenter myself throughout the year. It also gives me a space as the year progresses to save ideas, events, and opportunities for the next year as I figure out what I need in my business and life. The cards, prompts, and lists that I’ve created are a compilation of ideas from multiple books, planners, and workshops I’ve read or participated in. I’m using the pieces that resonated with me to help myself and YOU plan a year with intention and direction. While the board covers many aspects I think are essential to planning a year of intention and balance, the great news is if a certain prompt doesn’t resonate with you or you feel like I missed a category you can easily add in what YOU want. As entrepreneurs many of us tend to be dreamers, having all the ideas, and finding inspiration around every corner, which is great, until we feel like we lost in the sea of ideas with no clear path of action. This board is your lifeboat; your place to center yourself in action and what you want out of 2019. While the Planning Board is central to the yearly planning process, that’s just the beginning. You have to put that plan into action. I’ve also included how I break my yearly plan into a 90-day action plan plus the Trello template for that. This board is where the action takes place for the next 90 days in my business, and I’ll show you how the planning board helps guide that 90-day plan. Plus, I’ve provided the Editorial Calendar Board Template + The Social Media Engagement Template. These two boards further support your yearly plan. And I will show you how it all works together. Also a Content Bank template, because what you published this year shouldn’t be left forgotten. And the Learning Hub template, because you should be USING those courses you buy. 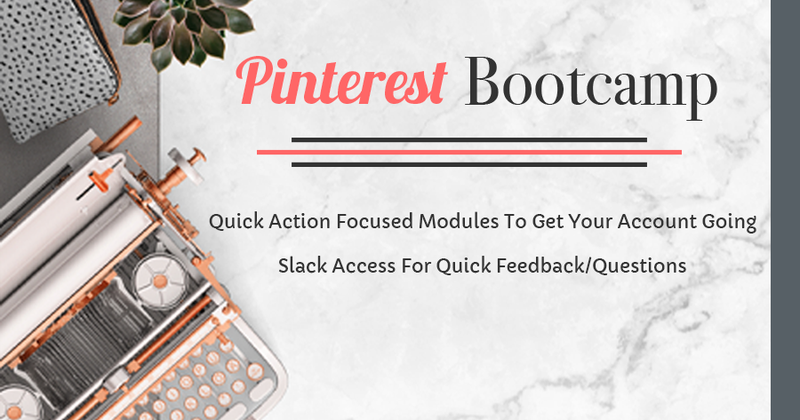 These additional boards are used to support your yearly goals and help keep your business on track for the goals and strategies you set as part of the yearly planning process. Instead of depending on someone else to develop your perfect planning system, panicking when yet again your favorite planner has major changes or is not produced at all, and spending 50+ dollars year after year. 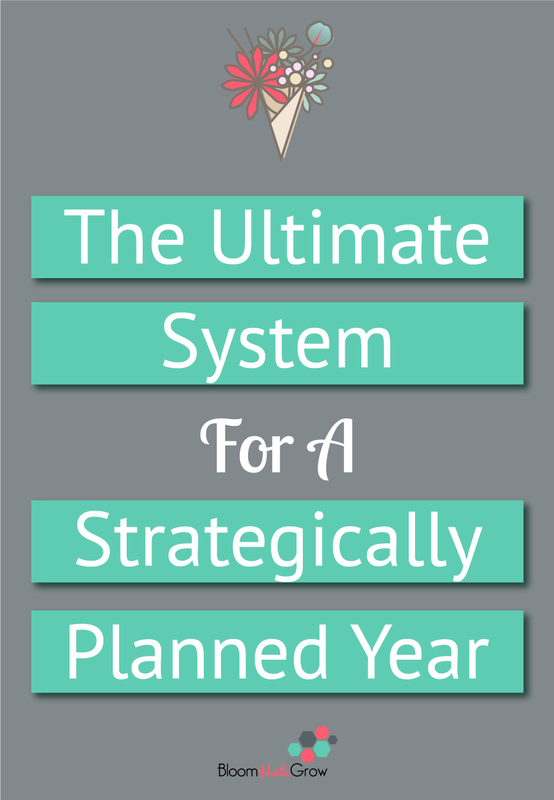 Join me and build a totally customizable planning system that will grow with you, that you can use year after year, and is 100% adaptable to your current season of business and life.